The State Government is to develop a strategy to help Queenslanders lessen their reliance on liquid fossil fuels as the price of oil increases and supply diminishes. Minister for Sustainability, Climate Change and Innovation, Andrew McNamara, said the future availability of fossil fuel and alternative energy supplies is one of the main sustainability issues facing society today. “The significance of this issue means that Queenslanders and people all around the world will need to address the increasing price and diminishing availability of oil in coming years,” Mr McNamara said. “By developing a strategy sooner rather than later, the Queensland Government can work to protect the lifestyle of Queenslanders and their need to travel, without needlessly damaging the environment. “During the past two weeks, the head of General Motors said world oil production had already peaked, and the head of Shell Oil said the supply of easily accessible oil will be exhausted within seven years. 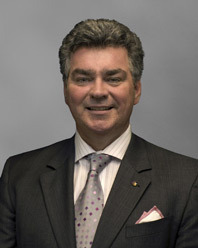 Mr McNamara, who is the Australian patron of the Association for the Study of Peak Oil, completed a report on peak oil before his appointment as a Minister in September. ‘Peak oil’ refers to the time when global oil production declines due to natural exhaustion of the resource, which will lead to shortages and significant price increases. The Government’s decision to develop a Queensland Oil Vulnerability Mitigation Strategy and Action Plan was a key recommendation of Mr McNamara’s report. Mr McNamara said that Queensland’s Oil Vulnerability Mitigation Strategy will look at a range of actions. “The strategy will have three broad elements: reducing the consumption of liquid fossil fuels; encouraging the development and use of alternative fuels; and preparing for demographic and regional changes as Queenslanders alter travel, work and living habits in response to rising fuel prices. “The Queensland Government is already doing related work across a range of departments, and the strategy will help to better coordinate these activities across government. Mr McNamara said the strategy could also canvass what options might need to be considered in a ‘worst case scenario’ of severe international oil shortages. "“The strategy will have three broad elements: reducing the consumption of liquid fossil fuels; encouraging the development and use of alternative fuels; and preparing for demographic and regional changes as Queenslanders alter travel, work and living habits in response to rising fuel prices"
Does anyone know any details as to HOW? As I understand it the alternative fuel is biofuel, especially ethanol from cane sugar - it just might keep the emergency services mobile if it goes well. The real interest is the preparation to alter travel, work and living habits. This is the essential problem of Peak Oil and how Queensland views these changes is of the utmost importance - this cannot be overstated. If all goes well we could see a Transition State - lets hope!! Andrew MacNamara should be one of the chosen kilo sent Canberra for KRudds summit. This is pretty soft stuff and will be largely ignored by an apathetic public who "just want better roads to get around on, cheaper fuel to do it and less intereference from a namby pamby sounding governemtn department"
The first goal is admirable, the second questionable and the third reactive and laughable. By the tyime government repsonds to demographic changes it will be too late.